Ashley is a partner in our corporate, investment funds and finance practice. Ashley’s practice covers a wide range of banking and finance matters including secured and unsecured loans, offshore/onshore cross-border lending structures, off balance sheet and other structured financings, margin loans, asset financings, acquisition financings, and take private financings. Ashley worked on the financings of most of the early ground breaking Cayman statutory merger transactions in Asia including the very first Cayman statutory merger financing and the then largest public to private acquisition of a Chinese company. He has also worked on a wide range of debt capital markets transactions. 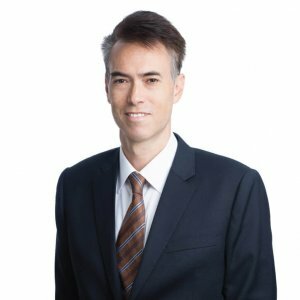 Ashley also has a broad corporate practice and has advised on mergers and acquisitions, joint ventures, continuations in and out of the BVI and Cayman Islands, reorganisations, asset disposals, private equity and venture capital structures. His experience includes advising on complex regulatory matters involving liaising with the BVI regulator and acting for the BVI liquidator on multi-jurisdictional asset disposals. Prior to joining Campbells, Ashley was a partner in another leading international offshore firm (based for two years in their BVI and Cayman offices and 8 years in Hong Kong). Before that he worked for several years in private practice in London, Paris and Sydney.